The following list of websites was sent to me by Toronto bowyer Mike Meusel following a conversation he and I had on March 24th. http://www.greatlakearrow.com/ for arrow supplies. 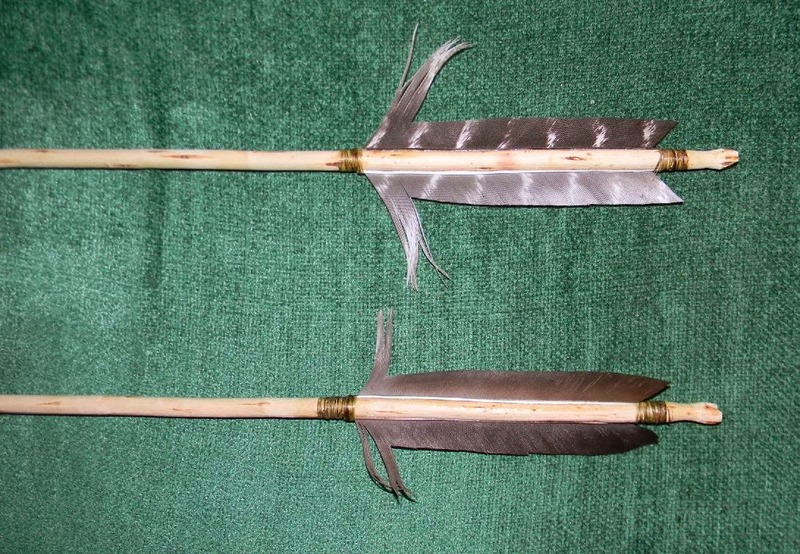 The company sells arrow shafts, feather fletching, nocks, arrowheads, adhesives and tools. http://wrightarchery.com/boutique/ Mike bought a leather side quiver from him. "He’s good." say's Mike. Rodney Wright also sells high quality arrows, bow building materials, bow strings, and a variety of high end longbows and recurve bows. http://ironwoodbowyer.com/ – "Probably the best bowyer in Ontario, and definitely one of the top in North America," says Mike. Sells composite bows, longbows, arrows, quivers and much more. Also has a fair chunk of info on bow building techniques. The photo below is from Marc's website, which I thought was fascinating. http://basicallybowsarchery.com/ - This isn't one of the websites Mike sent me because he knew I already know about this particular shop in Toronto, but I felt I should mention it too. Basically Bows sells longbows, recurves, fletching tools, feather fletching, bow string, nocks, arrowheads, tools and more. If you are into longbows and traditional archery, Basically Bows is the place to go in Toronto. + http://centurymill.com/site/domestic-hardwood-1/ - For both domestic hardwoods and foreign hardwoods, Century Mills in Stouffville sells a variety of woods good for both bowmaking and arrowmaking - and you can easily find them in the right sizes for bow staves, making them easy to browse and find what you are looking for. Mike mentioned Century Mills recently in a different conversation.